Hot pink, leather, and studs are whats happening in today’s outfit. 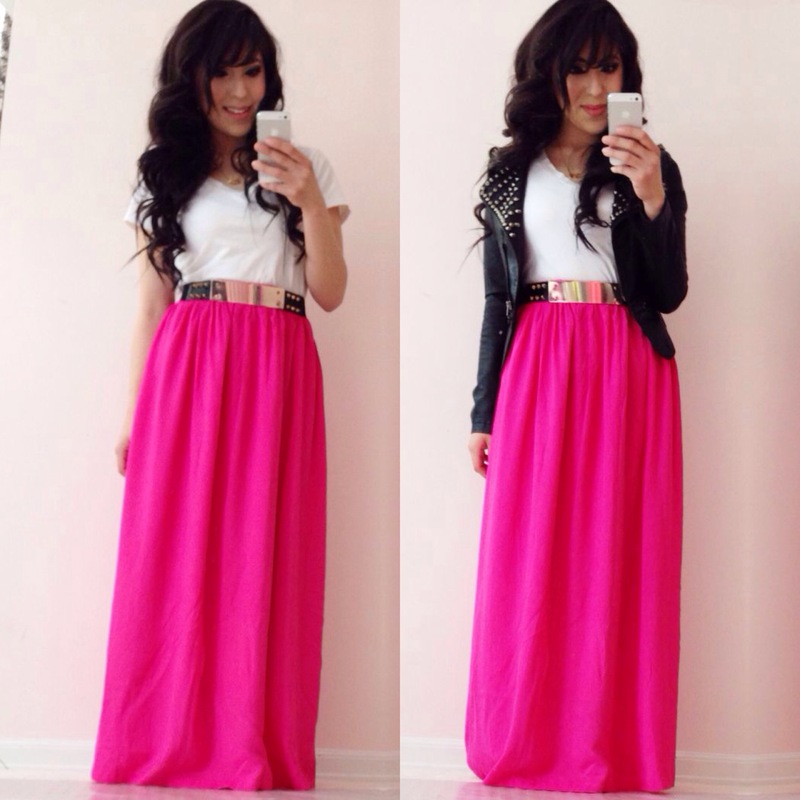 I love this hot pink maxi skirt paired up with my favorite metal belt. 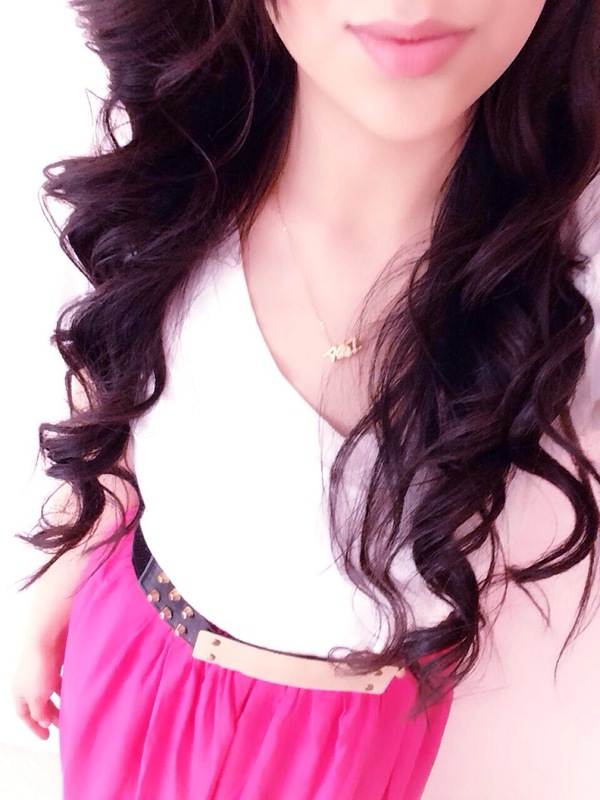 For daytime I wore this super bright maxi skirt with a basic white tee. (pretty casual but still cute.) Now for night time I added one of my all time favorite Poshmark finds which is this studded leather jacket! I didn’t even bother wearing heels since you won’t be able to see them anyways. Now can we just talk about how bright this maxi skirt is?! I love it!Its very soft and definitely one of the better quality maxi skirts I own. What I found very flattering is the fit,most maxi skirts have a tendency to just ‘stick’ to my thighs really awkwardly,but this skirt is tight on my waist and flares out and I love that! (Fit and flare is the silhouette that works best with my body.) This outfit was the most comfortable thing I have worn in a while! 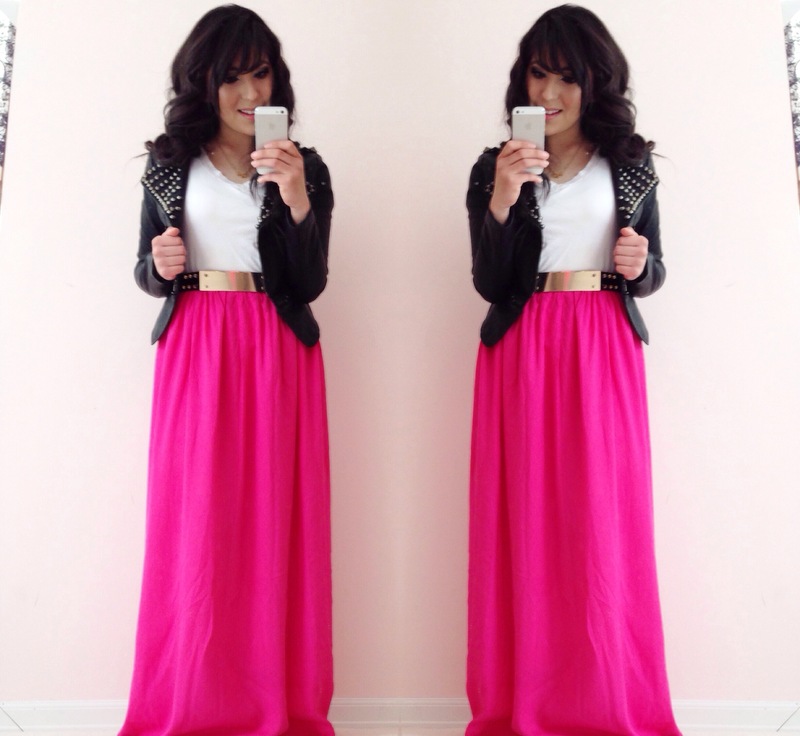 (Gotta love maxi skirts!) I feel like I put all of my favorite clothing pieces into one outfit, like no joke I loove this skirt and the jacket and the belt and even the white t-shirt!